Money Savers! 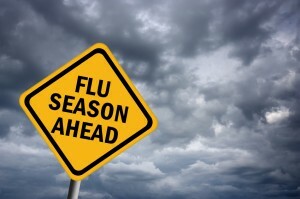 Smart Health Starts At Home… Flu Season Ahead! Why pay for every day health basics? So before you pay for another round of flu fighting scripts and lozenges… Here’s some inexpensive Vitamin C advice as the good old Flu season is already here – Bowen Therapy & Reaching for for Vitamin C!!! If you are sick stay home and rest and let your body recover. Medication scripts and lozenges on standby when you feel the first signs of flu coming on. Staying fit and relaxed and staying away from fast food. Now Bowen Therapy provides another bowstring in the fight against Flu, Sinus, & Hayfever Pain. From the moment of diagnosis, Bowen Therapy’s Upper Respiratory & Neck procedures begins reducing swelling, pain, and allowing mucus to drain naturally. Bowen Therapy is a set system of small moves, the technique is a gentle, fast and effective way to treat muscle and connective tissue disorders. The Bowen Therapy client can, within days, enjoy activity, if not sport, without sinus pains. In some Bowen Therapy clients, Flu, Sinus and Hayfever pain symptoms have been known to cease altogether in weeks instead of months by conventional means. Don’t put up with flu pain any longer!